In order to work effectively with Bloom’s Revised Taxonomy, we must understand two dimensions of learning: cognitive process, and knowledge. Cognitive process describes what thought task a learner is performing on a given text or focus. These include, in order of complexity from simple to complex, remembering, understanding, applying, analyzing, evaluating, and creating. Of these, understanding is the most broad and most easily misused. Understanding answers the question, “what does it mean?” It can involve interpreting, explaining, predicting, or comparing. Understanding is essentially knowing what an author, composer, songwriter, or visual artist intended to convey through their work, and being sufficiently familiar with a creator’s genre to predict what might come next in a musical or literary work, or what a visual artist’s next work might look like based on trends and characteristics found in recent works. Students also demonstrate understanding through comparing when they select a work they prefer from two or more, and then are able to explain why they prefer that one work over the others. Understanding is essentially thinking about artistic work, and making connections with other idioms, cultures, and other artistic works. As such, understanding is an intellectual endeavor. Applying puts what has been learned through intellectual exercise to practical use. If through interpreting a musical work a student has learned how a composer typically uses specific musical elements and to what expressive purpose, than the student can use that knowledge in using those musical elements in the same way when preparing a performance of that or another of the same composer’s work, or in determining the expressive intent of the same composer in another, perhaps unfamiliar work. Another example might be if, at the remembering level, a student has learned the definitions of several musical terms, that knowledge can be applied when those words are knowledgeably used in the course of writing about a composer’s musical work to which the student has just listened, or which the student is preparing for a performance. It is at the applying level that authentic assessments are found. These are assessment that require students to be evaluated on doing something that musicians actually do in the “real world,” rather than something that only students are asked to do and then do not do once they become working musicians or practicing amateur musicians. These first three, remembering, understanding, and applying, make a convenient and for many teachers a comfortable learning sequence. Breaking out of these three domains can be challenging for teachers and students alike, but it is at the next three domains that the most rigorous instruction and learning take place. Analyzing answers the question “how does it work?” Many people go through life enjoying music, able to understand what they are hearing, and apply what they know to everything from singing “Happy Birthday” to their children, to reflecting with a friend or spouse on a concert they both just attended together. But to get to the “next level,” a person unpacks the sequences of musical events they heard and looks into learning “how did he do that?” We might learn that we became suddenly tense and uneasy because the chords started on a progression that brought them further and further away from the tonic, or because the pedal tone became more and more dissonant over the chords above. Whereas through remembering, students might identify what a composer did, (he used a crescendo), through analysis, students can explain how a composer used a crescendo, or for what purpose. Evaluating is more complex. Evaluation is assigning worth or value to an artistic work, or to a performance of an artistic work. To do so requires that the student first have some criteria for judging the quality of artistic work that can be used objectively on any artistic work at least within a given genre if not universally. In other words, the student must be able to know concretely what bad art looks or sounds like, and what good art looks and sounds like, and then must be able to identify what in the artist’s execution of the elements of his or her art was done well and what was done poorly. Often, the most difficult part of evaluating is agreeing on what criteria are to be used. Many music teachers I talk to are surprised to find creating at the highest, most complex location on the taxonomy. It is also the most advanced step in Feierabend’s twelve step learning sequence for Conversational Solfege. The original Bloom’s taxonomy had synthesis at this location. Creating requires one to pull together everything one knows and can do, and pour it into something new and original. A person simply cannot create an artistic work if they cannot understand, apply what is understood, and evaluate artistic works of others. Students need to acquire command of the elements of their art, of how artists used them to convey an expressive intent, and what particular uses of them create the very best result. Lacking this foundation, students will not have the materials they need to work with, nor will they know what to do with them, or even if they have succeeded once they have, in some way, perhaps randomly, put them together to form a work which lacks expression or quality. Even an improvisor must have experiences with hearing, generating, selecting, and sequencing sounds and combinations of sounds before he or she can successfully improvise a melody that makes rhythmic and tonal sense. Improvising a melody on an Off instrument with all but the pentatonic scale tones removed is not an act of creating, because no understanding, applying, analyzing or evaluating is needed. The child merely needs to remember to strike any tone bar to a pulse and rhythm pattern. They may be improvising the rhythm, as if they were playing a drum, but they are not improvising a melody, though one incidentally results from their remembering domain activity. These 6 cognitive tasks, remembering, understanding, applying, analyzing, evaluating, and creating, are performed on knowledge. This knowledge also has domains. There are four domains of knowledge: factual, conceptual, procedural, and metacognitive. Factual knowledge matches up nicely with remembering, conceptual and procedural knowledge goes well with understanding and applying, and metacognitive knowledge is useful with analyzing and evaluating, because understanding how one things, how one’s cognitive process is used helps a student select and use an analytical or evaluative strategy. It should not be surprising that higher level knowledge requires higher level thinking. If we want our students to engage in the higher domains of the cognitive taxonomy, then we can help them by giving them knowledge to work with that demands higher level thinking. For example, when assigning students to analyze a musical work, first have them plan out how they will go about doing their analysis. This requires them to have or develop criteria for determining when to use appropriate procedures. Of course, this also requires that you have taught them appropriate procedures from which they are now qualified to choose the best ones for the task at hand. Then, once they have determined what procedures they will use, they must apply that procedural knowledge, along with perhaps factual and conceptual knowledge, to actually completing the assignment. Because this is a taxonomy of knowledge domains, students must be proficient with the lower levels of knowledge before being asked to work with a higher level of knowledge. For example, if students are struggling with conceptual knowledge, teach at that level to raise their proficiency before asking them to use procedural knowledge. Effective use of Bloom’s Revised Taxonomy is an effective way to control the level of challenge and rigor teachers present to their students. The taxonomy should not be seen as a description of learning styles, because one cannot say that, for example, one student is very analytic and so should always be given analysis tasks. No, that student will fare no better on analysis if remembering and/or understanding is deficient. Whereas some students will struggle to reach the most complex domain, none can afford to skip a domain to get to a higher one. When I learned Bloom’s taxonomy as an undergraduate, I always thought that the arts were short changed. Sure, there was the affective domain, but it just didn’t have the depth to it that the cognitive domain had, and the affective domain was often presented as a sort of afterthought. When the taxonomy was revised, this changed. Bloom’s revised taxonomy is a more inclusive and complete model of how intellectual processes work for all subjects, including music. Because of this, Bloom’s revised taxonomy is useful for writing lesson and unit objectives. In this post, I’ll examine music tasks in relation to this taxonomy. The revised Bloom’s taxonomy has 6 levels: remembering, understanding, applying, analyzing, evaluating, and applying. The levels increase in complexity from bottom to top. A major shortcoming of traditional teaching practice has been that too much attention was given to remembering and understanding, while students were asked to do relatively little at the upper four levels. The third level, applying, is really the gateway to relevant, meaningful, and lasting learning, because it is at this level that learning transitions from being abstract to practical; students can not only remember and explain, but they can also demonstrate and transfer learning to new situations and immediate needs. Many teachers don’t realize how much of their teacher is at the remembering level. For music teachers, songs, tonal and rhythm patterns, instrument fingerings, and defining musical terms are all remembering level tasks. Questions like, “what is the name of the whole note in the first measure?” or “what does crescendo mean?” are remembering questions. If a music teacher plays or sings a phrase of music and then asks the student to play it back the same way, that is also a remembering question as is practicing a passage over and over. These remembering tasks constitute a good deal of what students in music ensembles are asked to do. It is all remembering of fingerings, and repeating of a task until a level of competency is reached. Math teachers who give students pages of addition problems are also just asking students to remember. It is practicing something that has already been learned in order to get better at it. There is increased competency, but no new meaning is being learned, and no application of what is being practiced to a new situation is being attempted. If an objective for a lesson plan is that students will be able to play or sing a given passage of music with correct notes and rhythms, this is nothing more than a remembering objective. So does this mean we shouldn’t ask our students to practice? Certainly not. It does mean that we need to change what we expect them to do when they practice. I have written elsewhere about the importance of telling students why they are being asked to do a task; of students understanding the end to which a task is the means. Our subject here is different. Here we are interested in going beyond skill to reach meaning. The two phrases used in the understanding level that are of particular interest are “construct meaning” and “interpret.” In a structural sense, we construct meaning out of the patterns and groupings we perceive when we listen to music. We generally have no trouble moving to the pulse of music, of grouping a sequence of musical notes into a rhythm pattern or melodic phrase, or of perceiving the difference between a waltz and a tango. In forming mental images of rhythmic, metric, and grouping structures, we are literally constructing meaning out of sounds. 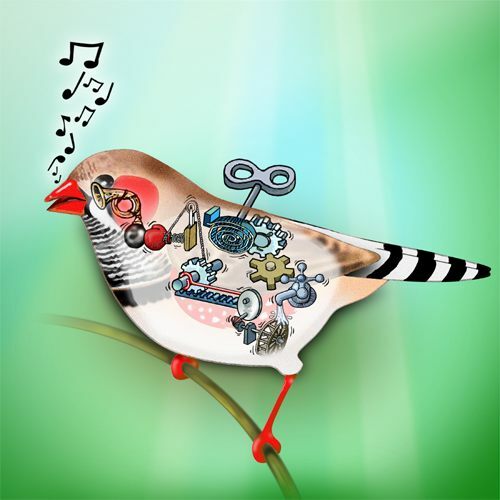 We are ascribing to what we hear an organization that enables us to make musical sense of the sounds by sorting them spatially and temporally. A student who is constructing meaning from music he or she is practicing might answer questions like, “what pulse do I perceive in the music?” “How many notes are contained within each pulse?” “How many beats or measures of music seem to go together before there is a natural break or pause, or before the pattern repeats? “At what tempo within the parameters of any tempo markings do I most enjoy playing this music?” “What can I do to bring out the qualities in this music that I enjoy so that others will notice them and enjoy the music as I do?” Answering these questions naturally leads into interpreting, which is taking meaning and performing in such a way that it is communicated or shared with listeners. When a student has learned to answer questions like these, and to make constructing meaning and interpreting a priority for practice sessions, that student is then ready to operate at the application level. For example, once a student has learned to determine where the phrases and phrase boundaries are in one musical work by answering the question, “How many beats or measures of music seem to go together before there is a natural break or pause, or before the pattern repeats,” they can answer the same question, looking for the same things in another piece of music. They can also use prior learning to solve problems that show up in new works. Perhaps the first work had a repeated or parallel phrase, as in the “Ode to Joy” melody, so finding the phrase boundary was a matter of finding where the repetition began. Now the new work doesn’t have a repeated or parallel phrase, but instead it has a note longer than surrounding notes so that the music rhythmically pauses between phrases. Or perhaps the phrase ends on a cadence, or begins in a new register or at a contrasting dynamic. The student is still finding patterns, but the patterns are defined differently in the new work, so s/he must answer the question, “where is the boundary between phrases” by looking for different evidence. Application has already led us somewhat into analyzing; finding the phrase structure and cadential points is surely analysis. In analysis, the student goes further, finding out how the various parts relate to each other. We find where the antecedent and where the consequent phrases are. We find where the tension builds and where it relaxes, and what rhythmic and tonal relationships make it so. We find parallel passages and learn in what ways they are similar, and we find contrasting themes and in what ways they are different. The results of all of this analysis get folded back into interpretation, as the performer makes phrases, contrasts and similarities clear to the audience, and brings the whole practice experience to a higher, deeper, more meaningful level as the student directs his or her attention and purpose to matters far beyond the learning of notes and rhythms. Evaluation is part of the practice process. As music is practiced, what has just been done must be evaluated so that the next action is apparent. Interpretation as well as accuracy must be practiced, and so each attempt is evaluated for how well the intended interpretation was done, and how accurately the pitches and rhythms were performed. At the top of the pyramid is creating. I think it’s significant that creating is the highest level. We sometimes discount the creative process by throwing students into composing tasks without giving them substantial learning opportunities at applying, analyzing, and evaluating. If students spend most of their music time singing and playing instruments, then we must find ways for them to transfer what they have learned performing to creating. Taking melodies they are learning and asking them to change a rhythm or change the last note of the phrase so that the effect or intent changes are possible activities to this end. Evaluating music others have written, and then writing similar music is also a time-honored technique. Trying out alternative interpretations is still another. It is not realistic to expect students to create music “out of thin air.” They must have the intellectual grounding from which the creative process can operate. The top three levels of Bloom’s revised taxonomy can easily be a challenge for students and teachers alike. The new national core arts standards are helpful, because much of the standards found therein push students to those higher taxonomy levels. Pushing our students there creates a surge of challenge and motivation that students and teachers who have been stuck at the lowest levels of the taxonomy need. If you would like to read more on this subject, please follow this link to another article. Interpretation is included in the anchor standards for both performing and responding to music found in the national core arts standards. Interpretation is closely tied to expressive intent, which is what the composer intended to express in a particular musical work. This aspect of interpretation is important, because it gives the interpreter a starting place in forming an interpretation of someone else’s created artistic work. When the composer’s intent is considered, the interpretation cannot be a free for all in which the performer has license to do anything and everything he or she wants. The whole idea that a composer wrote a piece of music with a purpose to express something requires that anyone setting out to prepare a performance of that musical work has a responsibility to determine what that composer’s intent was, and to use interpretation to communicate that intent through the performance. The conveying of a composer’s expressive intent is the objective side of interpreting and artistic work. It prevents a performer from, for example, playing Bach’s “Air” (on the g string) on a distortion electric guitar backed by a full rock band. The expressive intent aspect of interpretation makes it the interpreter’s first job to determine what that intent was, and then to work from there. The expressive intent, if determined accurately, will be the same or similar for all performers for a given musical work. If that is so, then why aren’t all interpretations highly similar or even identical? The answer is because there is a second aspect of interpreting, and that is the expressive intent of the performer. Musicians respond to a musical work with emotions and connections to their own experiences, just as listeners for whom the work will be performed do. In the act of conveying a composer’s expressive intent, each performer will pour into that conveyance a bit of themselves; their emotional understanding and their influences from life and musical experiences. While one musician may play Bach’s air with joy because he or she remember it being played at his or her wedding, another may play it with sorrow because he or she remembers it being played at a loved one’s funeral. Both are consistent with the music as Bach wrote it; however the original was in D major and written for the entire string section of an orchestra, not for a solo instrument, and not for playing entirely on the G string. The highly personal expression of a soloist is quite different from the collaborative expression of a string orchestra, which allows for a wider dynamic range, higher voicing, and ultimately greater expression. A solo performance in the original key of D major,and not transposed down an octave as the “on the G string” version in C major is, comes closer to Bach’s intent. Such a performance would also be a good example of how a composers’s intent combines with a performer’s intent to create a unique yet appropriate interpretation. Interpretation is not just a matter for performers. It is also something that listeners and respondents to music do. The same two elements are in force: the composer’s expressive intent and the performer’s expressive intent crafted together into an interpretation. Because a listener is not producing musical sound, but perceiving and responding to it, his or her part in interpreting is to understand what the composer and performer, in their collaboration, intended or are intending to express. This becomes a bit tricky, because it can be very difficult to separate the two intents. As with the performer’s interpretation, the listener begins with knowledge of the musical work. The listener gathers understanding through analysis. This analysis can be as simple as identifying the the era in which the music was composed (baroque, classical, romantic, etc.) and calling to mind the conventions of expression typically used in that era, or as complex as a study of the harmony used and how it contributes to patterns of stress and relaxation. Expression that goes beyond or outside of the conventions can confidently be assigned to the performer, while expressions perceived directly from the use of musical elements such as melodic contour, pitch selection, and rhythms can undoubtedly be attributed to the composer. Elements such as tempo and dynamics can be attributed to either if the listener knows what the composer indicated. The net result of analysis and listening is a listener’s perception of an interpretation. The listener can then evaluate the interpretation, determining if what the performer did was in line with what the composer wrote. When the two are compatible, the result is a great interpretation, and one that moves us emotionally and leaves us with a memorable musical experience. Until I got to college and began working on my music degree, I thought music was a pretty simple thing. There were people like me who sat in a band with a clarinet, and people like the conductor who told me and all of the other players what to play, and how to play it. There wasn’t much decision making to be done on my part. If we all succeeded in doing what the conductor wanted, the music would come out sounding good, and we’d all be very pleased with our concert, and look forward to the next one. When I studied music theory, I began to get a different view. There really was quite a bit to how al of this music was put together. Music appreciation made me aware of themes, and motivic development, and the term “recapitulation.” To this day I don’t know where the capitulation is that requires a recapitulation at the end. When I tried to explain sonata form to members of my family, I became frustrated when they couldn’t hear how the themes were being developed like I could. I came to realize that listening to music was harder than playing music. While I had a conductor to tell me everything I needed to know and do when I played, no one told me what to listen for while I sat at a symphony concert or opera. Once I read the program notes, then I was on my own, and so were all of the other people in the audience. Now that I’ve been a music teacher for 30 years, I realize that a teacher who tells his or her students everything they need to do or know isn’t such a good thing after all. It robs students of the opportunity to find an expressive intent of their own, and to interpret the music so that it become personally meaningful and expressive. It takes a lot more time to let the students do the thinking and interpreting, but it’s worth the investment. My fourth grade class today offers the perfect example. I built their whole lesson around performing repetitions expressively. The premise was that when something happens more than once, or a single note is held more than a beat, you must change the repetition or the note so that the note, or motif, or beat, or whatever it is does not sound exactly the same both times. I told them that they needed to change the way they sang the repetition by changing the dynamics and/or the articulation. Given the freedom to alter the music in this way, they found delight in singing a sixteenth note flourish louder, infusing it with energy it had lacked before. They were sure the music would sound better if the same phrase were sung louder the second time, and coming off of an ascending line, they were exactly right. When they got to the end of the song and realized it had an Amen, they insisted that it be sung soft, because, well, Amens are supposed to be soft. They put all of these changes together into a couple of performances, and they instantly became more interested in the music, and instantly began singing better both in accuracy and in just staying together and listening to each other. All of this in a simple sixteen bar melody. The skeptics will say that such student involvement in interpreting is too time consuming, but this class of 26 children reached consensus on expressive decisions quickly. A section in a band or choir can just as easily decide where to crescendo, where to accent, and so forth. Letting the students make these decisions puts the making of music into the hands of the ones who are actually making the musical sounds. It redefines a conductor as a collaborator with the musicians he or she leads. There is a journey of building an interpretation together in a way that enables the students, who are supposed to be the learners, to learn how to make music, and to practice doing so. Teaching music this way goes beyond just crescendos and articulations. There are many musical elements which a composer uses to fulfill his or her expressive intent. Some of these are fixed and not left to the discretion of the performer, such as pitch and rhythm and usually instrumentation. But within those constraints, there are many possibilities. There is the freedom to decide how to play a pitch, with what tone color to play an instrument, and how to bring out the many and subtle nuances of rhythm out of which metrical structure is perceived. In our busy and hasty routines of preparing concerts, we mustn’t forget that the essence of music, and perhaps the very reason we first loved music, was because of the little things that make music beautiful, but that we all too easily treat with indifference when we teach. We mustn’t be teaching music as if we were dispensing push notifications to our students. We must teach music through making music. Some years ago, when I was leading a music rehearsal for our church worship team, often tried to stop the band from rushing tempos, while they for their part tried to stop me from dragging those same songs. I remember trying to teach them the groove I was feeling, but without consistent success. They naturally were comfortable in a driven rock feel whereas I was after more of a more laid back gospel or funk groove. The interesting thing was that their tendency to accelerate ended when they reached the tempo of their groove. In other words, it wasn’t the open-ended sort of rushing that just keeps getting faster until the whole thing falls apart because the tempo has out paced the musicians ability to play that fast. Our musical inner selves were set differently. Why do people have different inner musical selves that cause them to approach the same music differently? Where differences like this exist, psychologists will tell us that there is a mixture of biological and environmental factors at work. We may play a piece of music differently because of differences in our biological cores, or because some were trained classically in a conservatory of music while others were trained under the mentoring of a popular or jazz musician. Some of us play music the way we do because we depend on music notation, while others play music the way we do because we are improvisers and skilled at playing by ear, but not music readers. A musician whose background is gospel, rhythm and blues, and funk will naturally approach music differently than a musician whose background is alternative rock. We bring the character and sound of what is familiar and what forms the foundation of our musicianship. This is why classical musicians rarely sound the same playing jazz as jazz musicians, opera singers seldom sound the same singing pop songs as pop singers, and why successful crossover musicians are so rare. These differences in biological make-up and musical experience also exist between students and their music teacher. Music teachers must consider the musical backgrounds of their students in order to understand why they interpret music they way they do, and to determine what training and experience is needed in order to appropriately interpret different musical styles. There is, to be sure, a fundamental core of knowledge that every musician must start with and build upon. For example, in Western music, the closest two pitches can be is one half step, there are diatonic scales, each divided into seven parts, and a chromatic scale divided into twelve parts. There is a rhythmic structure that includes meter and grouping arranged in a hierarchy, and there are pitch tendencies and attractions that define tonality and set a standard for intonation within the context of Western tonal music. I could perhaps continue the list of core fundamentals, but the point is that there is this body of knowledge that must be common to all Western musicians, regardless of in which genre individuals choose to perform. Other cultures could have quarter steps as the smallest interval, other tonalities, and other divisions of the octave, but there are, nonetheless, still core fundamentals for all musicians regardless of genre within a given culture, and if we generalize to fundamentals such as meter or scale, across all cultures. Differences such as I experienced with my worship band, follow differences in styles and genre, but not in the fundamental way music is made. The more specific the issue is, the more defined the differences can be. For example, everyone in that rehearsal recognized the importance of establishing a steady beat, but did not agree on the more subtle differences of how notes are finessed in relation to the beat. Some wanted to play ahead of the beat, driving the music, while others wanted to play behind the beat, creating a more relaxed feel. I needed more experience performing music with a driving beat without rushing, and they needed more experience playing laid-back music without slowing down. As we fulfill our responsibility to give our students a diverse repertoire of quality music to listen to, practice, analyze, evaluate, interpret and perform, we must be sure that the fundamental core is solid, and that attention is given to stylistic differences so that they develop an ear for those differences, and a sense of how those differences affect interpretation and performance practices. Without a lot of listening, interpreting, and improvising in a less familiar genre or sub-genre, students brought up on rock will always rush jazz, and students brought up on hip-hop will always drag rock. It is the “inner workings” of each genre of music that give each genre a characteristic sound, groove and feel. Without an awareness of these, a diverse repertoire will sound strangely monolithic. Yesterday, I discussed creativity in the music classroom. When children perform music, and when I say perform I include practice, rehearsal, and concertizing, they need freedom to explore the interpretive possibilities before them. I think it is an unfortunate result of our pre-service training and perhaps also of our experience playing and singing under some conductors, that we prepare a particular interpretation and then go about training our students to carry out our interpretation. The trouble with that approach is that it relegates all of the creative activity to the conductor, and reduces what the students are doing to little more than following a set of how-to directions. I’m convinced that we take a lot of the fun out of music making, and indeed miss the point of including students in music-making activities, if we dictate a one and only interpretation. Leading student musicians should be a lot like being a good listener in a conversation. It’s not good to do all the talking, or to not really listen to what the other person is saying because we’re eager to refute what they haven’t even finished saying. When our students are playing or singing music, we must really listen. The object of our listening shouldn’t be to catch all of the mistakes and tell them how to do it right, it should be to catch what they are trying to do with the music and help them to do it better. If I am leading an ensemble, and they are struggling, I may ask “am I going too fast?” If they say yes, it means I’m making it too difficult for them. If they say no, we want to go faster, then the rhythms may not be falling into a groove for them at the tempo I’m going, so it’s worth trying a faster one. At other times, it’s worth just giving them choices. For example, “we could diminuendo to the piano and then crescendo after the piano, or we could sing forte up to the piano, and then suddenly get soft. Let’s try it both ways, and see which way we like better.” The students can try it both ways, discuss the differences, and then agree on one or the other. It is also a good idea to share with your students how you arrive at an interpretation. I concentrate on three aspects of the music. First, I like to consider the meter, and how the composer has used the chosen meter to create the different levels of beat. I want to discover how the music feels in my body, how it urges me to move. My conducting should reflect those urges so that it will serve as a model for my students, helping them discover how the meter feels in their bodies. Second, I look at how the phrasing is structured. I discover the length of phrases, and how they are marked off in the music. For example, do phrases tend to end on relatively long notes? Do phrases end with a change in articulation? Do several phrases have parallel characteristics that show me the should all be described the same way? Third, I look for the most important note in each phrase. This note will be the destination of the phrase, and will be the one I want to build up to and release from. Each phrase has one most important note. Parallel phrases will have the same most-important note, so again it is important to recognize similar phrases so I can interpret them in similar ways. When my students are sensitive to these three aspects of music–meter, phrasing, and most-important notes within each phrase, they are equipped to interpret the music, or at least contribute to the interpretation. In doing this, they are applying analysis techniques to creative decision making. As Richard Rodgers once wrote, “nothing comes from nothing, nothing ever could.” To make an interpretation, there must be something to interpret. Analysis shows us what is there, and informs creative decisions. Student-centered interpretation is another dimension of creativity in the music classroom.